Do you struggle to get going in the morning? Are you feeling the pressure of our 24/7 society? Perhaps you find it difficult to wind down at night? Feeling exhausted is so common that it now has its own acronym – TATT – tired all the time! When you woke to the sound of your alarm this morning, how did you feel? Chances are you wanted to crawl straight back under the duvet. 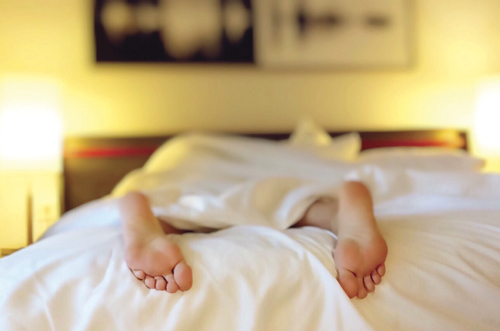 Experts suggest we’re not getting the rest and relaxation we need, with sleep disorders such as insomnia steadily increasing as many of us find it difficult to switch off from our demanding lives. Do you suffer with the Monday morning slump? Cortisol is the ‘get up and go’ hormone that releases into your system in the morning to wake you up feeling energised. Levels of cortisol gradually taper off throughout the day so that you can sleep in the evening. However, cortisol is also released in response to stress or stimulants to give you a burst of energy. If this happens too often, it may disrupt your natural energy rhythm and cause fluctuations that result in difficulty getting to sleep and waking up. Stress is our body’s method of reacting to a challenge – whilst a small amount may be a positive response, too much can lead to physical and emotional health issues and can compromise your entire body. All of the body’s cells need energy to work. This energy is usually provided by the food we eat, especially the fats, sugars and starches. Nowadays the trouble is that we eat a lot of refined foods that contain high amounts of sugar and starch which raise the sugar in our blood very quickly. However, what goes up must come down, so the body will often process excess sugar quickly meaning that the energy high is followed by an energy slump. You can help balance these highs and lows by choosing foods that release the sugars slowly and sustain your energy for longer. Eat a high proportion of vegetables, reduce the amount of potatoes, rice and pasta, and ensure you eat plenty of good quality protein with each meal.